With Table Mountain as the city’s famous official New7Wonders of Nature backdrop, Cape Town has always been rich in history. There is plenty to do in the city and peninsula. Whether it is a ride to see Table Mountain, or the scenic views of the peninsula and enjoying safari tours and cape winelands. Cape Town surely deserves being named the best place to visit in the world by the American New York times, and the British Daily Telegraph in 2014. That is why I took it upon myself, to create a list. 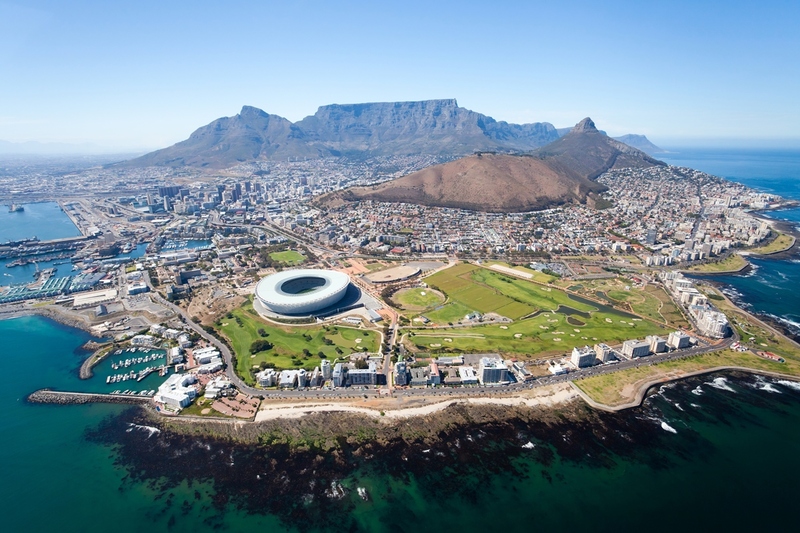 Top 5 tours To Do in Cape Town. The day tour provides a full day of scenic splendour, travelling around the peninsula and including Cape Point, at the very tip of the Cape peninsula, and located within the Table Mountain National Park, a natural world heritage site. Visit Cape Point for more information to see why this is a must-do as one of the highlights of this tour, and visit 34 South Tours to see how the other activities and scenic points around the peninsula e.g the Atlantic seaboard, Boulders beach penguins and Kirstenbosch Botanical Gardens is included to make this day a scenic feast. The day tour entails the picturesque views passing through wine routes of Stellenbosch, Franschhoek and Paarl. With a valley of vineyards, gorgeous mountain ranges as backdrop, charming and friendly towns and tempting cuisine at any of the award-winning restaurants that the winelands are famous for, you will experience why this is one of the highlights of the city. There is a variety of activities to do, from wine and chocolate tasting, to cheese tasting and gourmet picnics, you might just spend the entire day enjoying all these luxuries. See our winelands tours for more ideas on how to spend your day. This is a full day tour, available from July to November as this is the official whale season. Hermanus is a popular village holiday spot with pristine beaches, nature reserves with Fynpos, which is the smallest of the plant kingdoms in the world, and whale watching, this intimate village will delight you. You can also add wine tasting to your Hermanus trip. And half the fun is the coastal scenic route to get there as Clarence Drive, passing Betty’s Bay, Pringle Bay and , is considered to be one of the most beautiful coastal roads snug against the ocean on the one side and the mountains on the other. For more information onhow to make the most of this day, check out 34 South Tours Whales Tours. Want to meet the king of the jungle and see if he really roars? Well this Cape Town Safari tour is just the activity for you! You will enjoy a game drive at Aquila game reserve and see The Big 5 in the flesh. The highlight of the tour includes seeing the Big 5, buffet breakfast and lunch as well as a scenic drive back to Cape Town. Visit Aquila game reserve. What better way to see the city, than on top of the red double decker bus? With 11 hop on hop off points around the city and commentary in 15 languages, this is a great way to visit Table Mountain, the Two Oceans Aquarium, the V&A Waterfront, the promenade alongCamps Bay, Sea point and Mouille Point and Long Street in the city. Check out City Sight Seeing for more information.